GQ - "Tom Brady Talks to Chuck Klosterman About Deflategate (Sort Of . . .)"
"These questions shall remain unasked, simply because Brady refused to repeat a one-word response he claims to have given many times before. Now, I’m not a cop or a lawyer or a judge. I don’t have any classified information that can’t be found on the Internet. My opinion on this event has as much concrete value as my opinion on Brady’s quarterbacking, which is exactly zero. But I strongly suspect the real reason Brady did not want to answer a question about his “general awareness” of Deflategate is pretty uncomplicated: He doesn’t want to keep saying something that isn’t true, nor does he want to directly contradict what he said in the past. I realize that seems like a negative thing to conclude about someone I don’t know. It seems like I’m suggesting that he both cheated and lied, and technically I am. In the present, we overvalue the rules of sport and insist that anyone caught breaking those parameters must be stopped, sanctioned, and banned. But as the decades slip away, such responses tend to invert. Who won and who lost matters less than the visage of the experience; as long as nobody got hurt and nobody took drugs and nothing was fixed by gamblers, a little deception almost becomes charming. A deficiency of character adds character, somehow. It proves that the cheater cared. The Patriots are the Raiders of now, despite the fact that the Raiders still exist. They push the limits of everything, and that’s how they dominate. Sometimes that limit-pushing is lawful and brilliant: When Belichick placed seven “eligible” receivers on the field against the Ravens in last season’s divisional playoff, it was a stroke of strategic genius. Sometimes that limit-pushing is (perhaps) significantly less than totally legal. But it’s all philosophically essential to what makes them who they are. They don’t need to cheat in order to win, but it certainly doesn’t hurt. I mean, how do rich people stay rich? By avoiding all the taxes specifically designed for rich people. How does a football franchise sustain a dynasty within an NFL system designed to instill parity? By attacking the boundaries of every rule in that system, at every level of the organization. And in both cases, the perception of those actions does not matter to the individuals involved. Perception is other people’s problem. 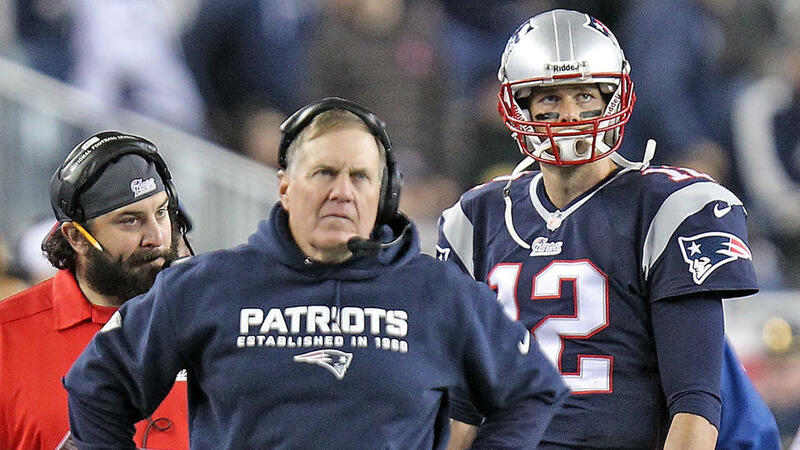 Brady does not hide from this: “I don’t really care how the Patriots are perceived. I really don’t.”"